Rebecca Howard is surrounded by a team of young professionals at home and at events who ensure the horses are looking and feeling their best. Working pupils are encouraged and supported as they develop their careers through hands-on training, lessons and apprenticeship schemes and working pupils are welcome to bring their own horses into the program. 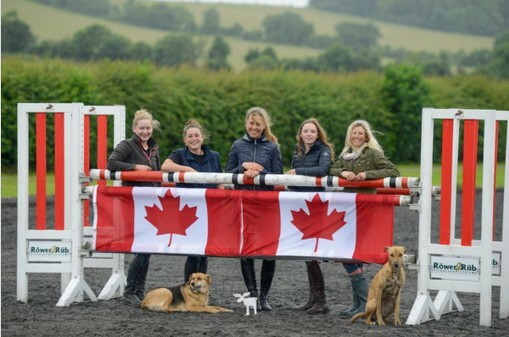 A former working pupil herself, Rebecca is keen to hear from young event riders looking for international working pupil positions at her UK training base, established at Lucinda Fredericks' Rosegarth, in Wiltshire. Rosegarth, nestled at the foot of Salisbury Plain in Wiltshire, south west England is an ideal training base for event riders. The property offers acres of post and rail turn-out, lush grass and fantastic hacking, both on and off-road. The large 60m x 30m arena is stocked with a range of jumps and poles, while the yard offers rubber matting, hot water wash areas, a solarium, a lunge pen and covered horse walker. Rosegarth is also located near to many British Eventing fixtures; short lorry trips include Barbury Castle International, West Wilts, Larkhill, Wilton and access to other events, like Gatcombe, Calmsden and Aldon International are available through the HGV lorry routes leading to the A303, M4 and M3.